This allows for customisation of areas internally and allows adding and taking away lays as you want as each lay magnetizes to the one below and above. So lots of options and abilities there. Buildwise this is very similar to the older V1.0 version but due to the removal of the sharp corners reduces damage during transporting which could happen with the older design. 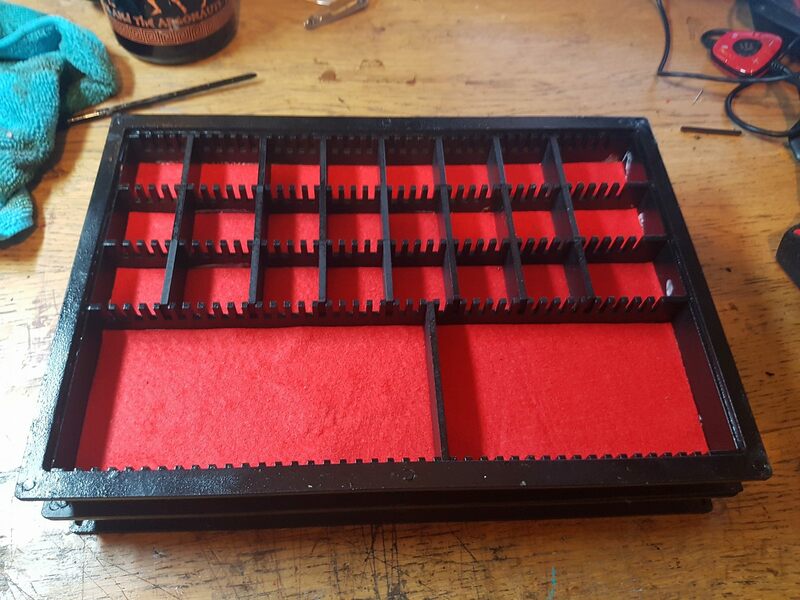 A Video guide for building the larger of the 2 magnetised Trays can be seen below.